Revolutionary Service...Every Customer, Every Time. DFT Communications is a telecommunications company, which provides Phone Service and Internet Service to the Dunkirk, Fredonia, Cassadaga, and Jamestown Area. 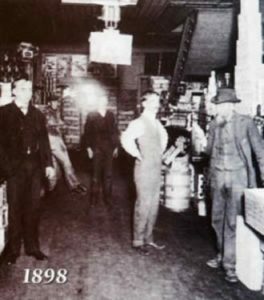 Founded in 1898 in Arthur R. Maytum’s grocery store, DFT has been serving the Dunkirk & Fredonia area for 121 years. It all started in a grocery store. Arthur R. Maytum had a lot to be excited about and proud of in 1898. His grocery business was going well and he had just installed Fredonia’s first telephone in his Water Street store. With this modern miracle close at hand, he could offer more efficient service and fresher produce to his customers by calling the railroad depot for up-to-the-minute reports on his shipments. As a result of installing the telephone to better serve his customers he initiated something that would soon serve the community on an even broader scale – the Dunkirk & Fredonia Telephone Company. Appropriately he became the area’s first telephone customer. The telephone company incorporated in February of 1898 and started business that August, serving 64 customers. It was only fitting that Arthur R. Maytum serve as the fledgling company’s first Secretary and General Manager. Over the years, he would guide the company as it grew, prospered, and brought new communications services to the people of Dunkirk and Fredonia. 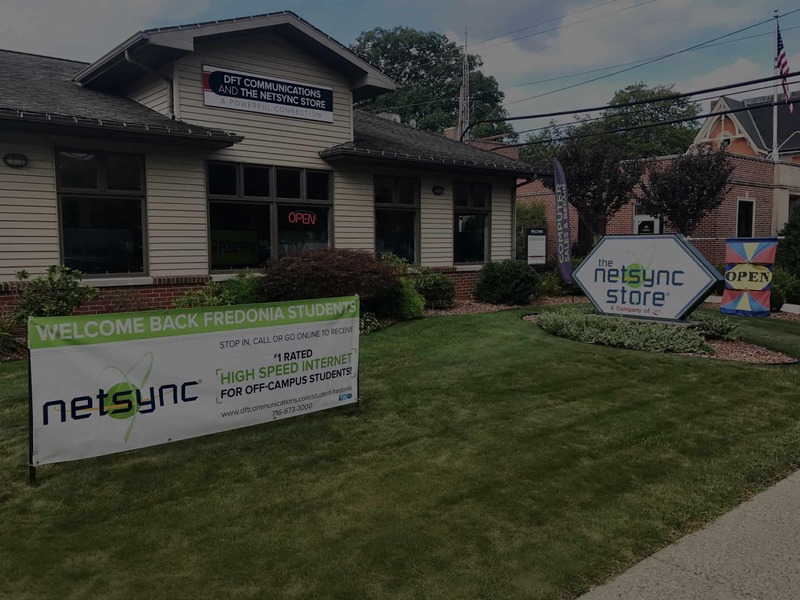 The Dunkirk and Fredonia Telephone Company was purchased in 1996 from the Maytum family by the Lynch Corporation to furnish the resources necessary to be able to continually offer the best and newest communications services to residential and business customers – all from one source. In 1997, DFT Communications was formed to encompass all divisions of the expanding company. Now DFT Communications is more than just a telephone service. In 2014, Brick Skirt Holdings, Inc., a corporation controlled by members of the Maytum family, announced that an agreement had officially been reached with LICT Corporation to purchase the controlling interest in DFT Communications. The deal became official on Wednesday, December 24, 2014. The deal brought DFT Communications back into the local ownership of the Maytum family. DFT Communications is a family of companies linking neighbor to neighbor, friend to friend and business to business. Over the last 121 years, we’ve updated equipment, expanded services and added subscribers. DFT Communications offers Local and Long Distance Telephone Service, Business Telephone Systems, Internet Service, Security Systems, Wireless Communications and Call Center Services to those in Western New York and portions of Pennsylvania. At DFT Communications, telecommunications remains our focus but our business is your satisfaction. We realize that you have a choice when selecting a communications service provider. By striving to exceed our customer’s expectations and making recommendations instead of just “selling” services, we work hard to maintain our relationships with outstanding customer service. Making your life easier with total communication services – all from one source. The United Way • St. Susan Center • TRC Foundation • The Boys and Girls Club • American Red Cross • Camp Gross • Brooks Memorial Hospital • Fredonia College Foundation • March of Dimes WalkAmerica • Local Police & Fire Departments • Chautauqua Leadership Network • New York State Sheriff’s Assoc. • 1891 Fredonia Opera House • Adams Art Gallery • American Cancer Society’s Relay For Life • JCC Foundation • Chautauqua County Chamber Of Commerce • Northern Chautauqua Community Foundation. Dr. Robert Maytum was a “true gentleman” whose quiet philanthropy has benefited the community for a number of years. He was a man who was always ready to listen to the needs of the area he served and gave back unselfishly to the people he felt helped pave the way for him in his very successful career in telecommunications. In 2008, this annual golf tournament, formerly known as the DFT Communications Community Benefit Golf Tournament was renamed the Maytum Memorial to honor this true gentleman for his many acts of kindness and support to not only the local community but a vast array of programs and projects throughout the region. We honor him with this special tribute and ask that his message proudly continue through your generosity to your local community.